It seemed so ridiculous—a thought no kid would ever actually get to entertain. Yet there it was, being offered as if it were perfectly normal. I had never heard of homeschooling before, and there weren't many homeschooling families to be found in our area even if a person knew where to look. I was intrigued, but I did take an extra cautious look at the idea before jumping on board. You see, I was an ideal public school student. I showed up on time and did all of my homework. The idea of detention wasn’t on my radar, and not once was I sent to the office. The one time I got a grade lower than an “A” (It was a “B” -- the horror! ), I cried the entire evening. And that was on a progress report, not even a true report card. Obviously, I poured my entire self into my schooling. Leaving it behind seemed insane. As a 10-year-old, I thought school was my passion. As it turns out, I’m just a high-strung perfectionist who works extra hard at everything and finds it hard to relax when something isn't done right. Had I remained in school, I likely would have been driven mad with anxiety as expectations became more and more difficult to meet. Fortunately, I didn’t stay in school. After much discussion with my parents, my brother and I finally made the decision to stop going to our small private school and give homeschooling a try. After all, we could always return to school if we wanted to. Instead, we did science experiments in our kitchen, spent countless hours hanging out on the couch reading together, went on nature hikes, and scheduled field trips with the few other homeschoolers in our city. We did use textbooks to an extent, but our lives no longer revolved around dull math lessons and boring chapters on history. Gradually, those textbooks fell out of our lives entirely. They were still around as points of reference, and we did actually pull them out from time to time when we felt like it, but the majority of our lessons were real-world experiences. At that point, the anxious, school-focused little girl who obsessed over grades became a student of the world—an unschooler, if you will. I was free to think, experiment, and find my true passions, and that’s exactly what I did. Thanks to this newfound freedom and being allowed to think outside the box, I discovered I loved Irish dance, theater, music theory, travel, and writing. I spent countless hours pursuing my passions, only to discover new amazing hobbies and adventures along the way. I found mentors to help me with what I didn’t understand, I made lifelong friendships, and I learned that there’s absolutely nothing more valuable than spending your time doing what you love with the people you love. With this lesson learned, I set out to find a way to use my passions to make a living. At 15, I opened a youth theater production company. This wasn’t a huge money-maker but it did give me some extra cash, and that was just fine with me. As I got a bit older, I began brainstorming other money-making opportunities. I opened my Irish dance school when I was 19-years-old, and have been teaching dance in various capacities ever since. Most recently, I have taken up writing professionally. The reason for this was simple: My husband and I wanted to give our son the chance to learn through amazing life experiences, but we wanted to do it on another level. 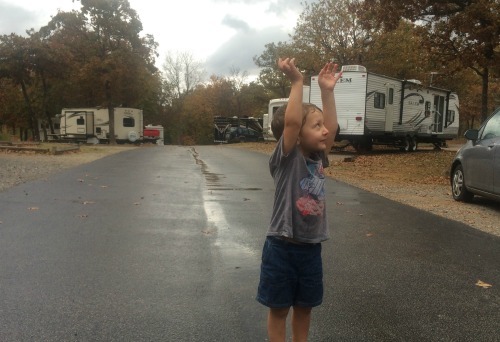 We wanted to live in an RV, travel full-time, and roadschool him. However, I needed to be able to fund those experiences while still doing what I loved. Since it’s one of my great passions, writing is the perfect travel job for me. I found a number of writing gigs, started an online Irish dance school as a side hustle, and began pulling up roots. While preparing for our learning adventures, I had several people ask why we’d made this decision. Here are just a few of the many reasons we choose to roadschool our son, and why I believe every parent should make an effort to travel with their children and do some roadschooling of their own whenever possible. Traveling helps open the minds of children and adults alike. It grants the opportunity to experience different ways of life and see that “different” isn’t a bad thing, but rather something to be celebrated. Additionally, the diverse individuals you meet during travel often have nuggets of knowledge to offer that you might not have come across otherwise. Staying put for a long period of time has the tendency to make you a little less excited about life. After all, why go exploring when you know exactly what you’ll find? Travel keeps you active and alert, ensuring you fully experience everything life throws your way. Roadschooling gives countless learning opportunities. There’s nothing wrong with seeking out learning opportunities around home. That said, travel opens the doors to new and unusual learning opportunities that you may not find in your hometown. Incredible museums, nature exploration opportunities, and countless other amazing things can be found when a person goes wandering. 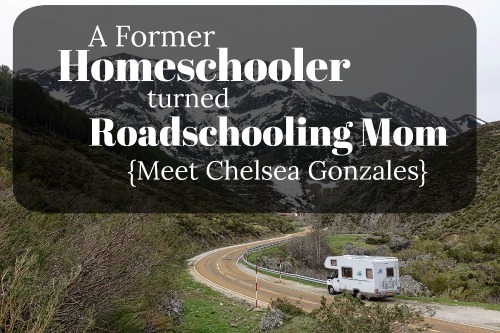 Roadschooling brings the family closer. Traveling as a family means making memories as a family. It means sleeping in close quarters and learning each other’s quirks. Travel is an amazing family bonding experience that should be taken advantage of. While forcing kids to be bored may seem like a terrible thing to do, it’s actually quite beneficial. Boredom forces kids to think outside the box. It makes them use their imaginations and creative skills to create fun from nothing. All of these things help to build resourceful, problem-solving adults. Going new places and trying new things can be an intimidating experience. By traveling often, you'll encourage your little ones to step outside their comfort zones, something that helps build self-confidence. These are just a few of the amazing benefits we experience through a life of travel. While I know not everyone wants to live on the road, I encourage you to fit regular travel into your life, however possible, to give your family the same types of benefits and experiences. So what are you waiting for? Pack up and hit the road. After all, adventure is out there!